Kitty and James both studied at Merton College Oxford, so it was a natural choice as a venue for their big day. The college houses a stunning 13th century gothic chapel lined with beautiful windows and boasting a beautiful organ that was made to coincide with their anniversary celebrations in 2014. The music and singing at Kitty and James’s wedding was as stunning as the venue itself. I’ve photographed wedding of all sorts now and I love that I never really know what’s coming next, or where wedding photography will take me. 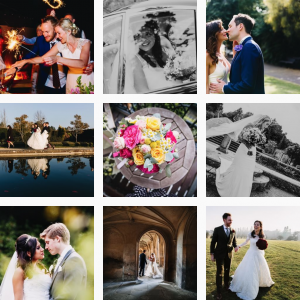 I’m on the brink of a possible move to Oxford so having this gorgeous wedding as one of my first Oxford jobs has definitely wetted my appetite for all the possibilities that Oxford holds. The day was beautifully designed and filled with lovely details. Kitty’s bridesmaids wore a mix of turquoise, purple and lilac that went beautifully with the pink and purple and thistle filled bouquets. One of the little hints to Kitty’s Scottish heritage along with little bits of tartan tying together the buttonholes. The tables were themed around the London tube network where Kitty and James have lived together the last few year. And their cake topper was the pair of them enjoying a bottle of bubbles, wearing their hiking gear and looking at a map. before setting of on a two week hike for their honeymoon. From they ceremony at Merton College we all walked through Oxford City centre to The Jam Factory where the reception was held. In order to not lose anyone James’s sisters held aloft giant foam hands with the words just married on… we caused quite a lot of turned heads as we made our way through town. I had a lovely day capturing James and Kitty and all their lovely friends and family and I hope their enjoying married life. 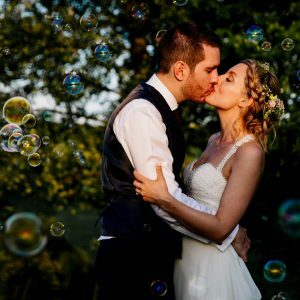 If you’d like to check out more Lucy Judson wedding photography click here.